George Kromer (nicknamed ‘Stormy’ for his blustery temper) was a semipro baseball player, but his future father-in-law insisted he get a real job before marrying his daughter. Stormy joined the railroad and married Ida. 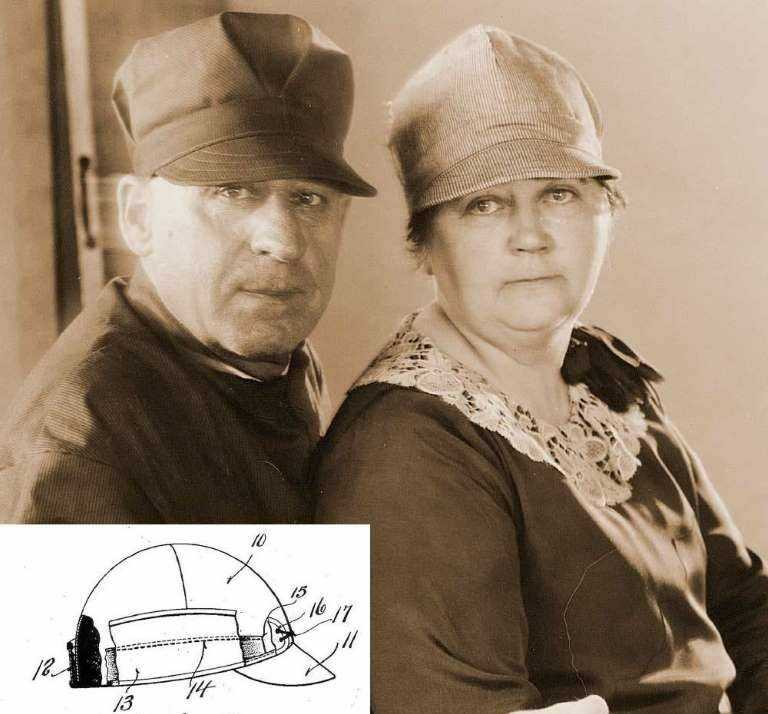 In 1903, Stormy was frustrated at repeatedly having his caps blow off his head, so he went home and instructed Ida to sew an ear band onto one of his old wool baseball caps. The next day, all his coworkers wanted one, and the Kromers were in business.The caps were sewn in such a way that six panels of fabric met at the top, and they became so popular that ‘six-pointer’ became synonymous with Midwest railroad workers.